I am over at A Blog Named Hero today with my solo post today. I am pretty pleased with the background I did on this card which is inspired by patterns on fabrics. Head over to A Blog Named Hero to learn more about how I made this card. Enjoy! looks very beautiful!! love the background!! 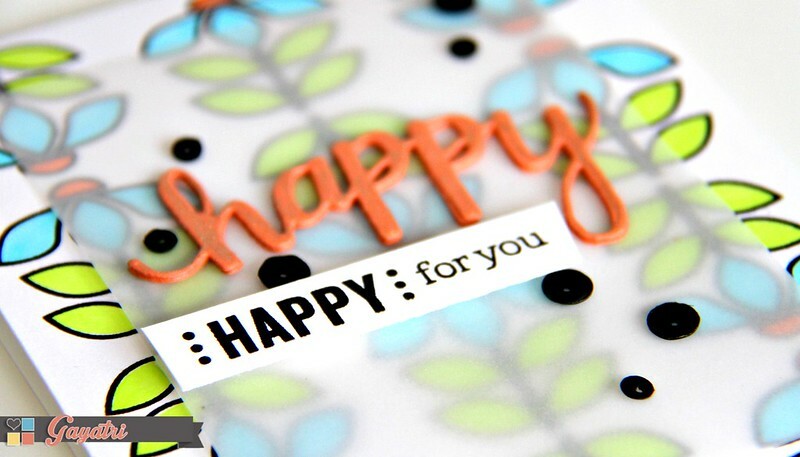 Love the bright Happy on the vellum overlay! Your created background is so lovely!